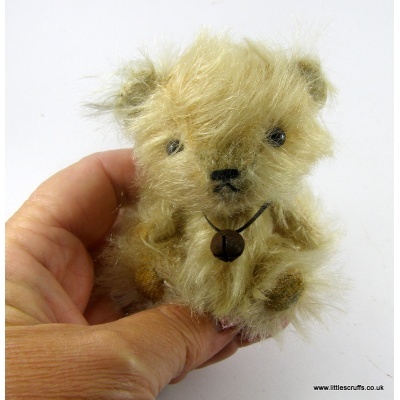 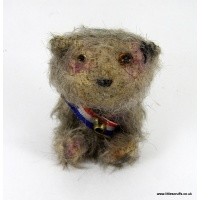 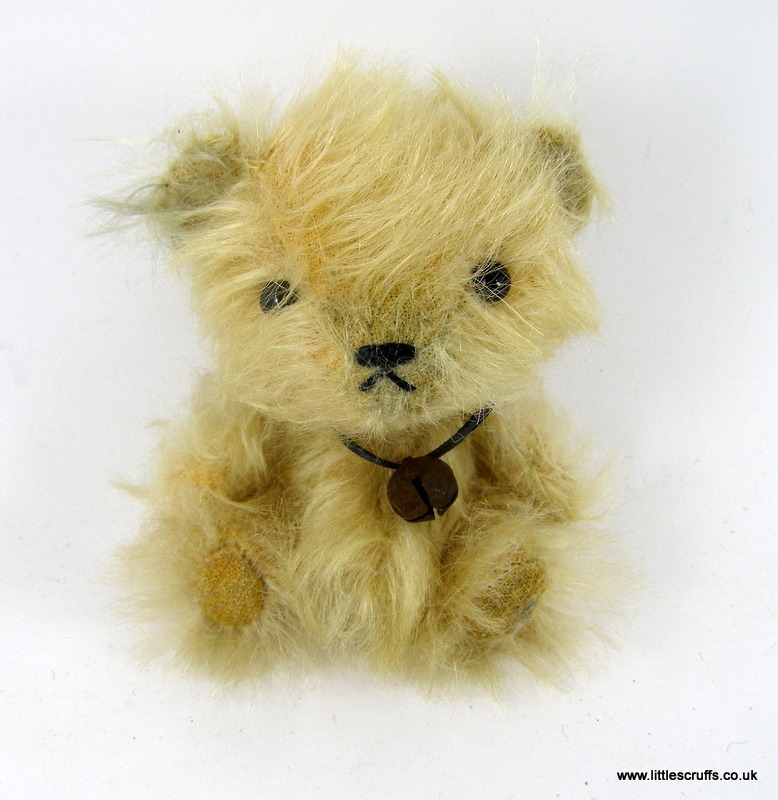 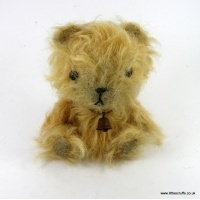 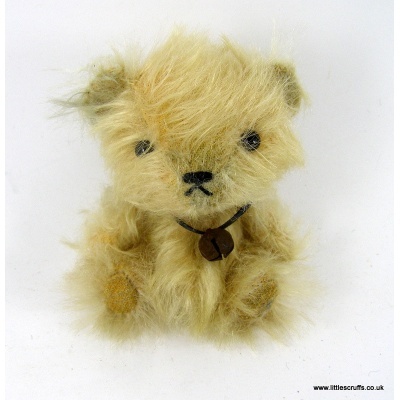 Beau is another little bear made from the mohair of a vintage pyjama case and there is something so special about the fur. 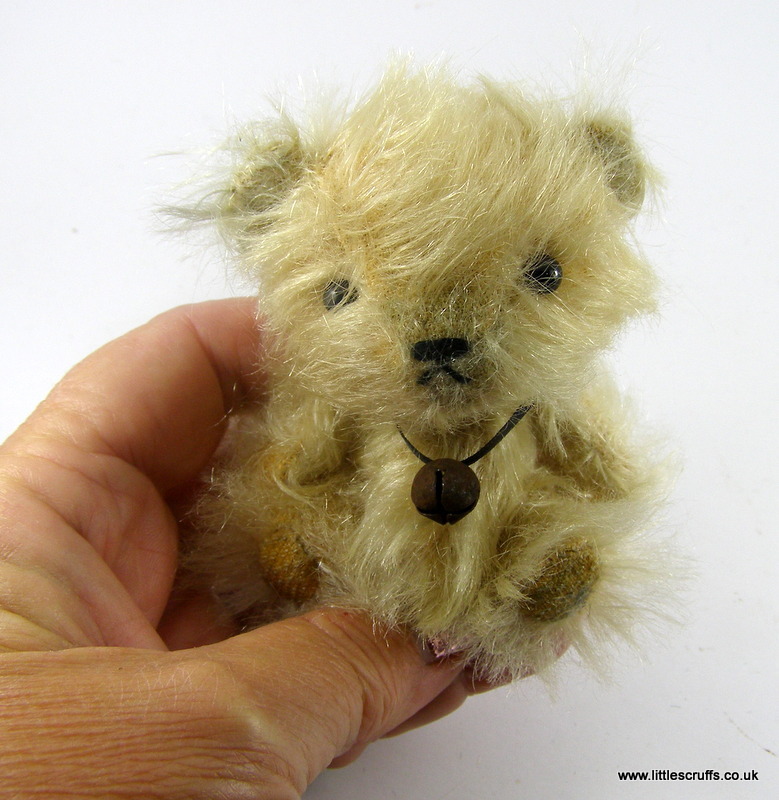 Beau is approximately 31/2 inches tall when standing and is fully cotter pin jointed.She has black glass eyes and a stitched, waxed nose and mouth. 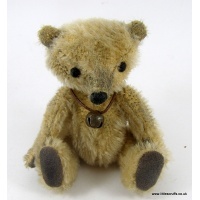 She is stuffed firmly with kapok, used in the making of early bears and has steel shavings in her body for added weight. 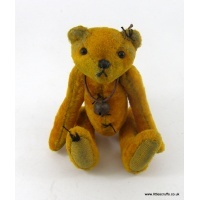 She comes wearing a rusty old bell around her neck.